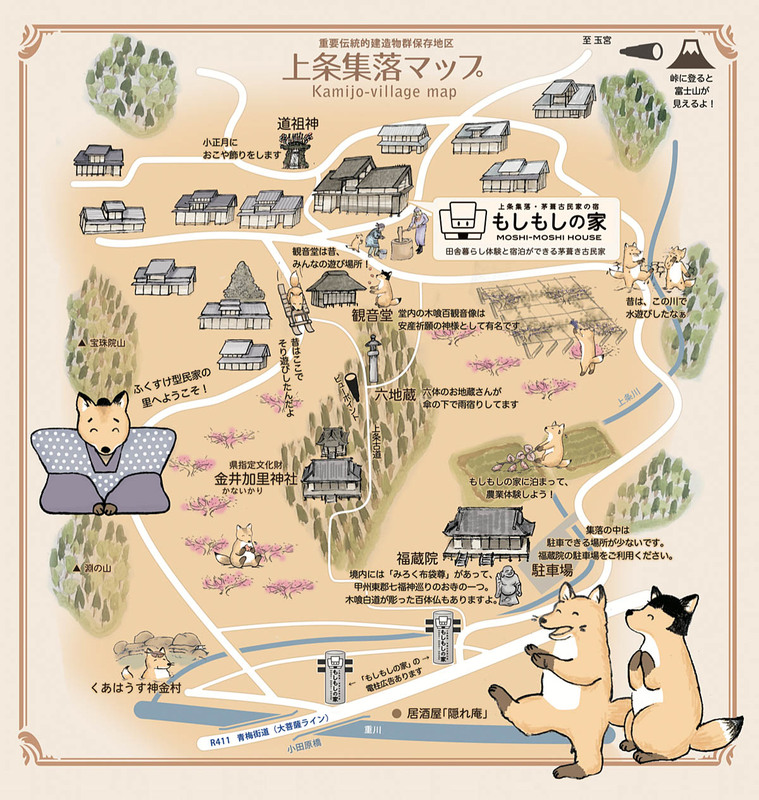 For pamphlets, we created a illustration map to introduce the inside of Kamijo village and the vicinity of Kamijo Village. The fox, a guide fellow, will tell you how old and current Kamijo village are. Please have a look. A map for access is at the bottom.